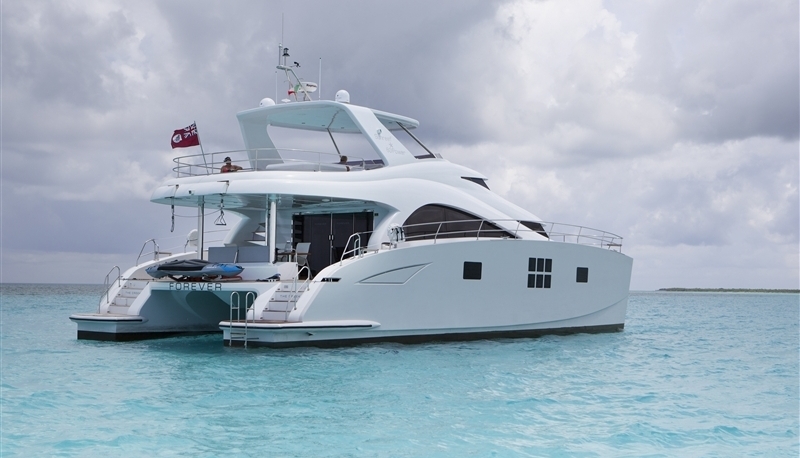 Luxury charter catamaran FOREVER was designed and built by Sunreef in 2013. 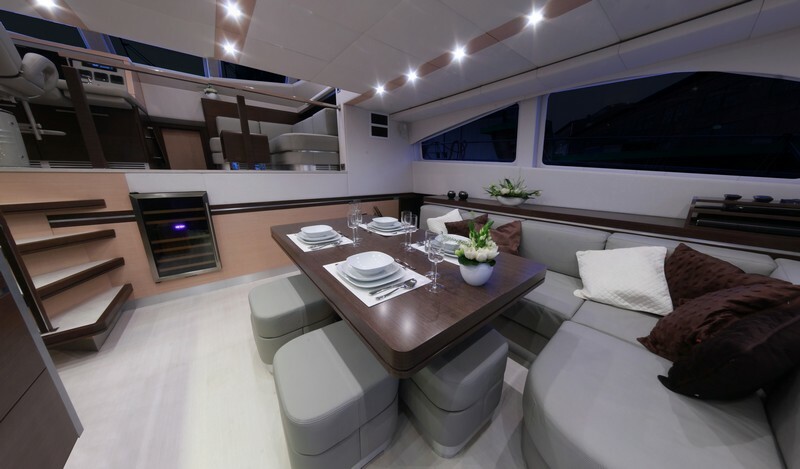 This sleek 18.2m (60ft) power catamaran is the ideal yacht for the discerning customer who seeks a harmonious combination of contemporary elegance with modern lines. 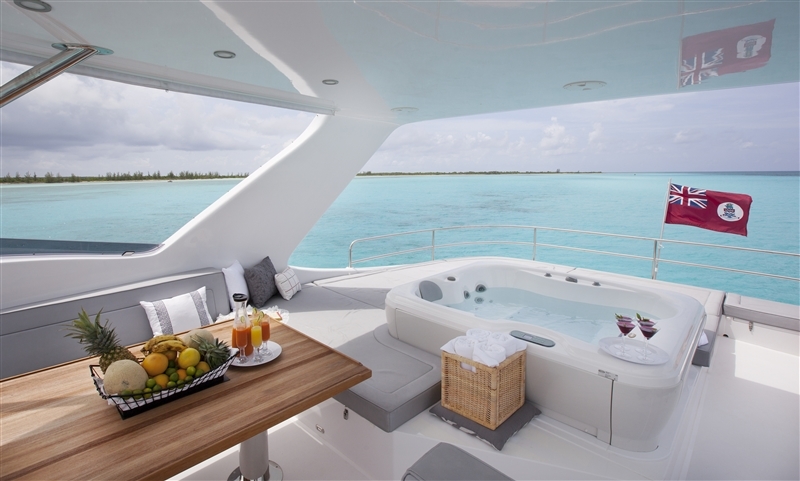 Charter yacht FOREVER is available for up to 8 guests in Mexico year round. 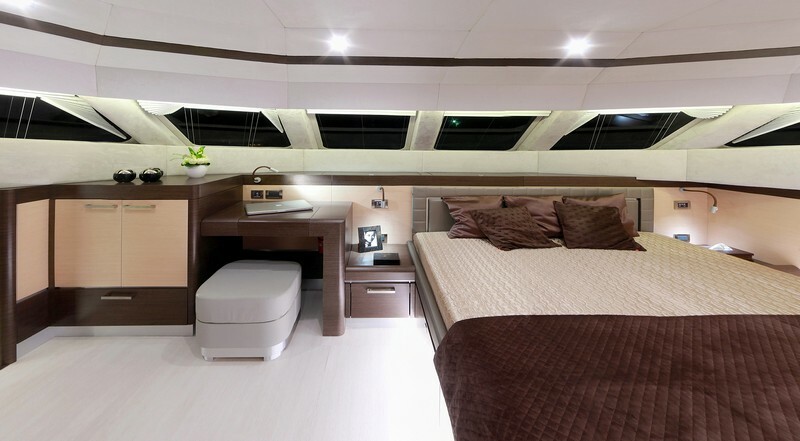 M/Y FOREVER boasts a spacious layout thanks to the catamaran design. 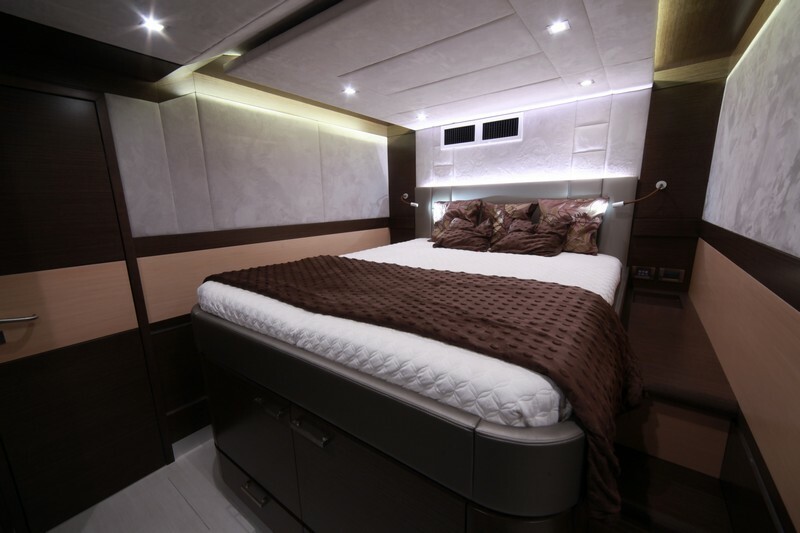 Her interior features cool tones of neutral greys, soft browns, subtle creams and refined fittings. 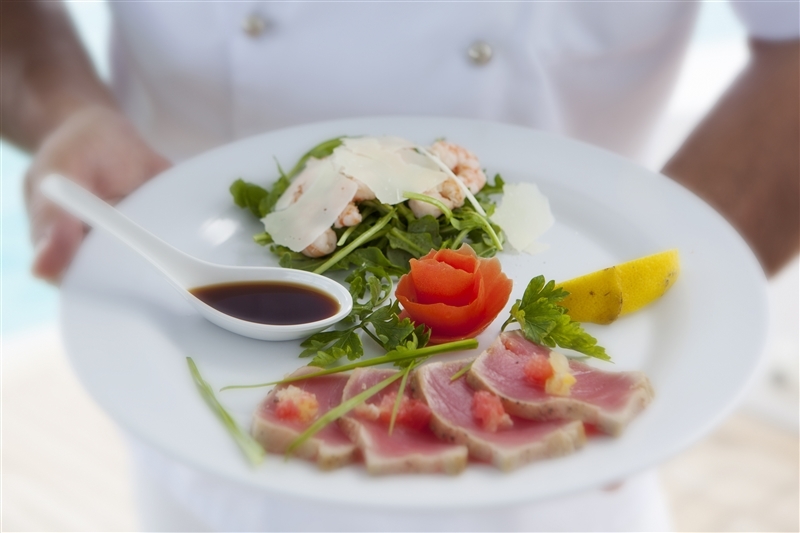 The salon and dining are on the starboard side with an open plan state of the art galley on the port side, forward of the salon and raised, is the helm station which offers further seating in a mezzanine style space. 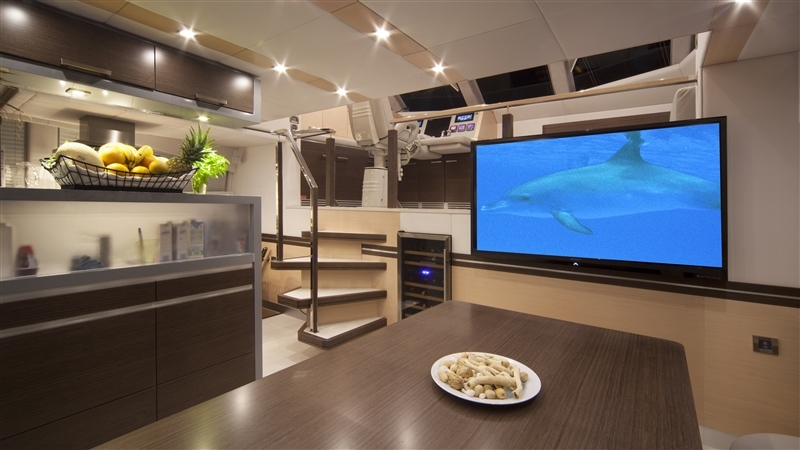 Charter yacht FOREVER accommodates her 8 guests in one master on the main deck and forward, 2 VIP cabins on port and starboard amidships and a double cabin aft of the port side, each cabin boasts en-suite facilities. 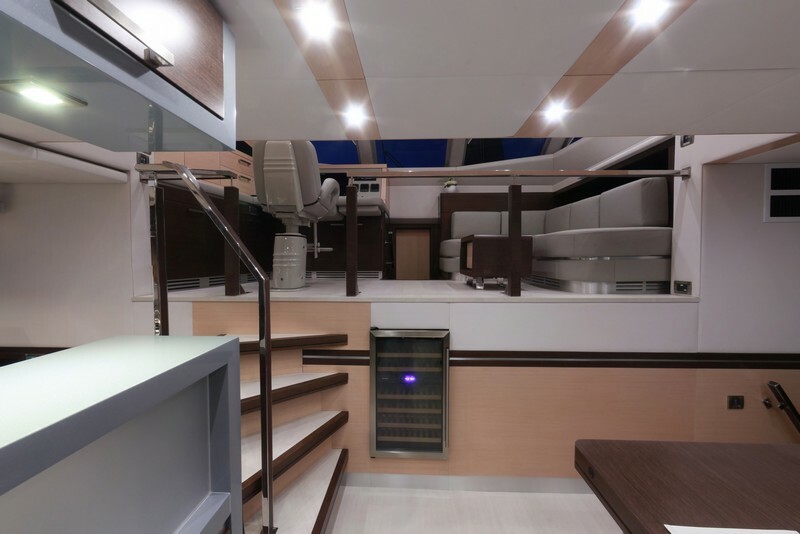 The power catamaran FOREVER has ample areas on deck to enjoy. 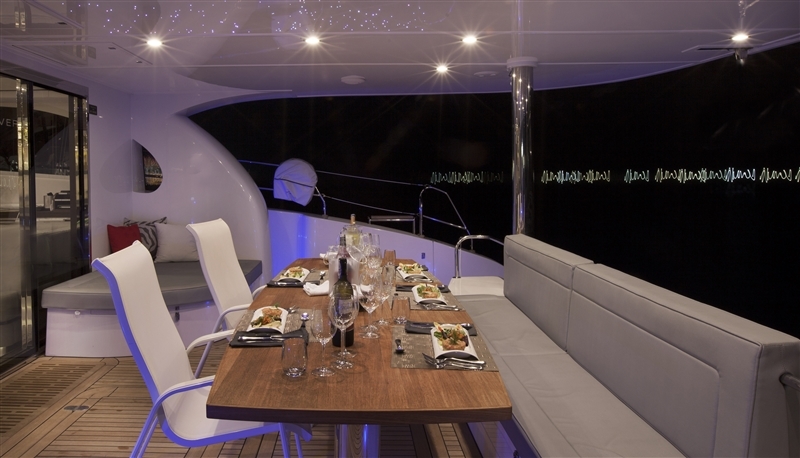 Aft of the salon through wide sliding glass doors, the large aft deck offers an alfresco dining option, lounge pad and plenty of seating. 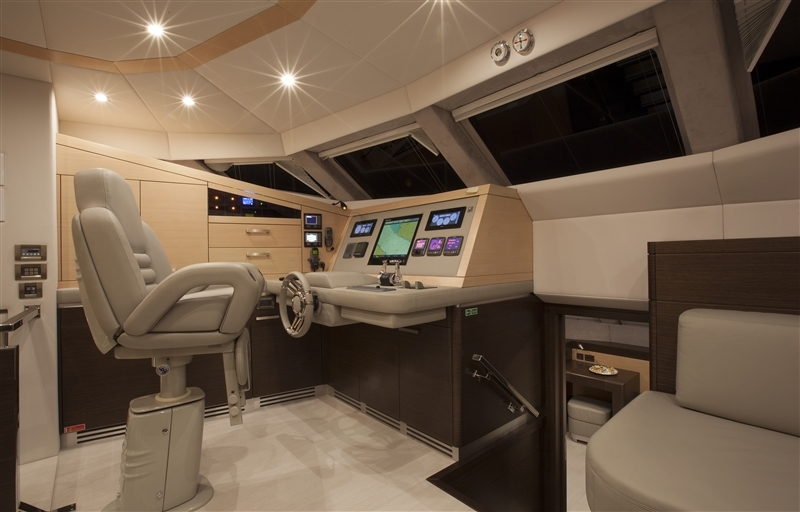 Further aft a full beam platform connects to 2 easy access steps to the dual swim transoms. 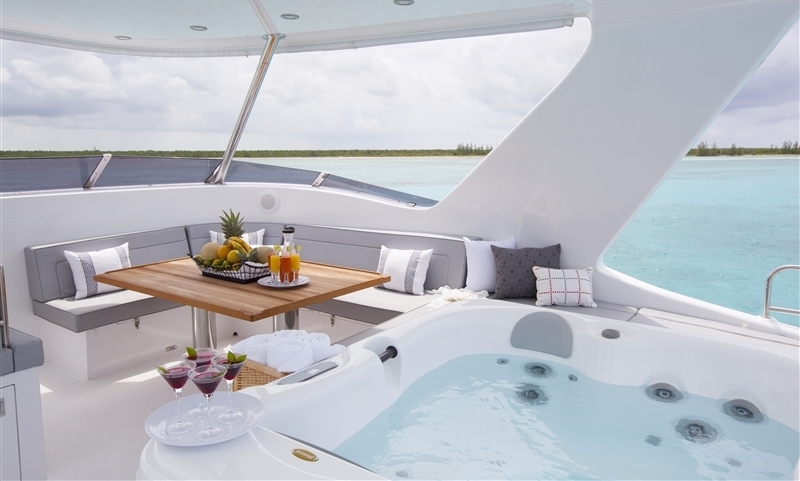 Forward aboard the M/Y FOREVER, 2 upper sunpads are perfect for a quiet moment to one’s self. 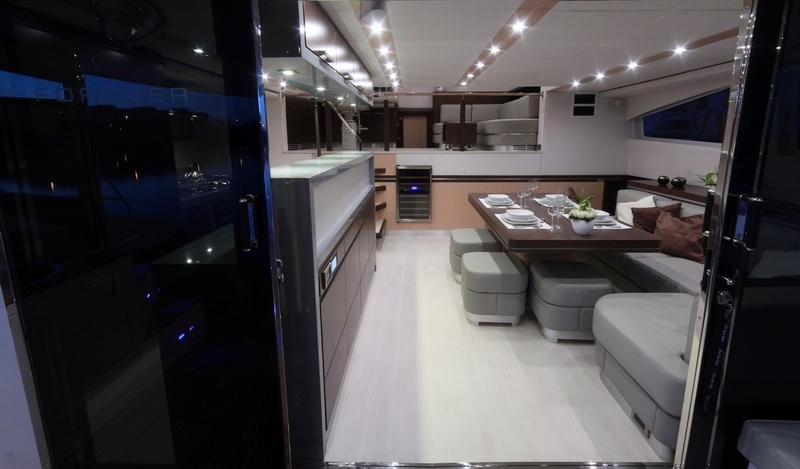 Luxury motor yacht FOREVER boasts a large flybridge complete with alfresco dining table and massive sunpads, ideal for entertaining by day or night. 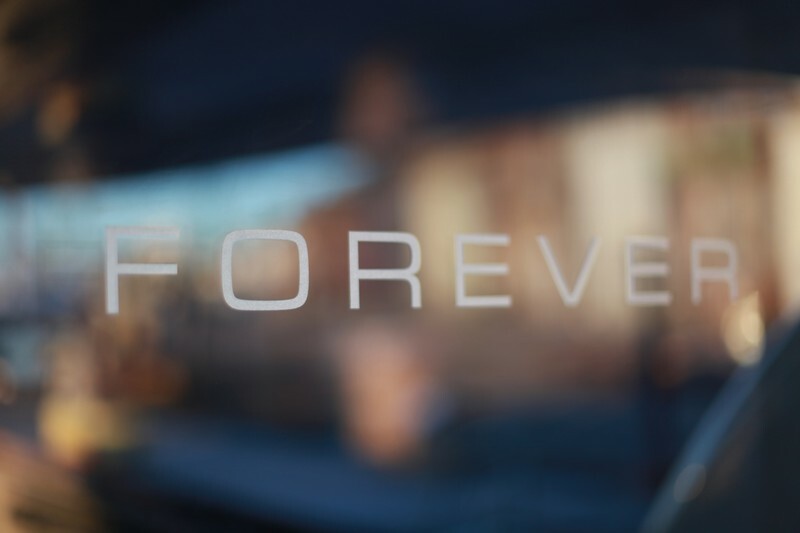 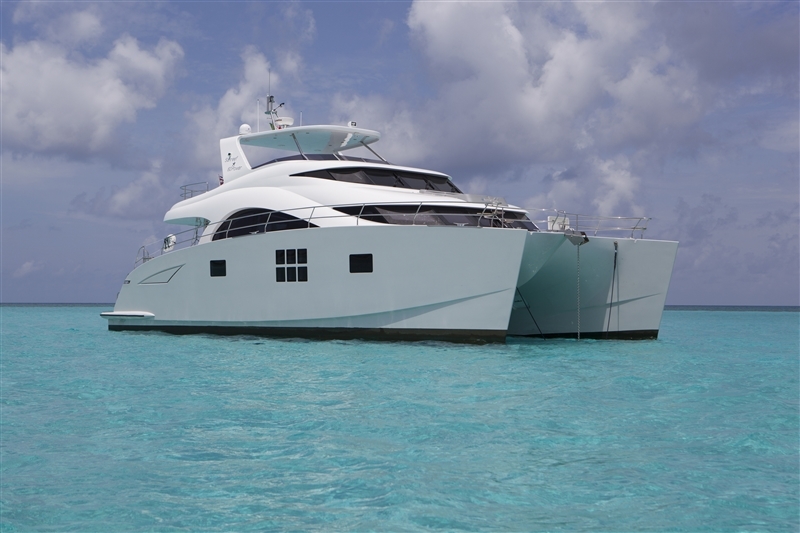 The FOREVER catamaran has an ample beam of 7.9m (26ft) and a shallow draft of .99m (3.3ft), allowing her to enjoy bays yachts of a similar size could not consider. 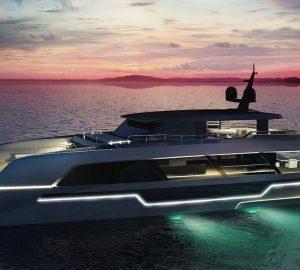 She is powered by 2 x MAN 800hp engines and is capable of 20 – 25 knots. 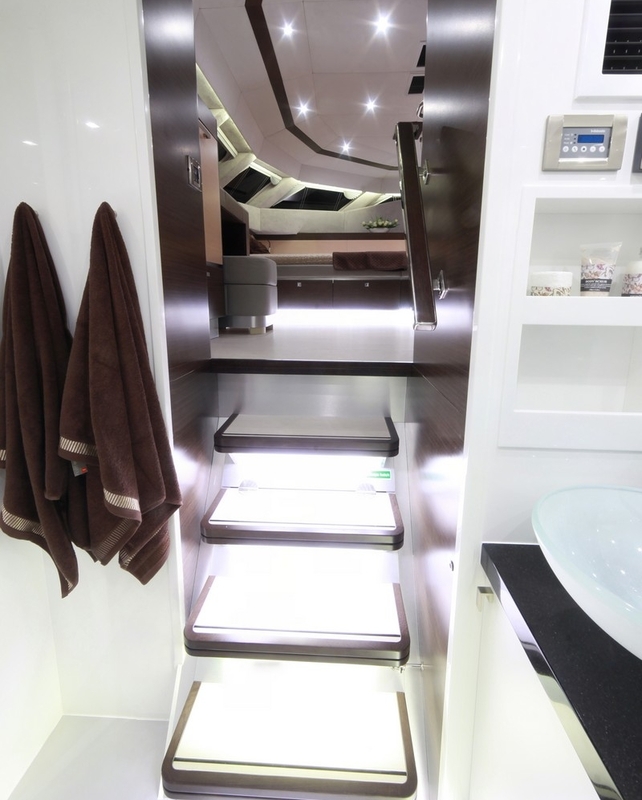 Luxury Sunreef catamaran FOREVER offers 4 en-suite double cabins for up to 8 guests. 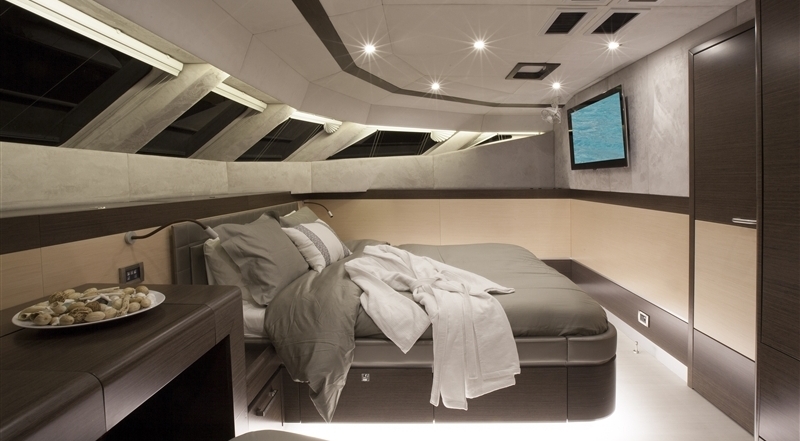 The master suite is forward and full beam of the yacht with a king size bed and stunning 180° views. 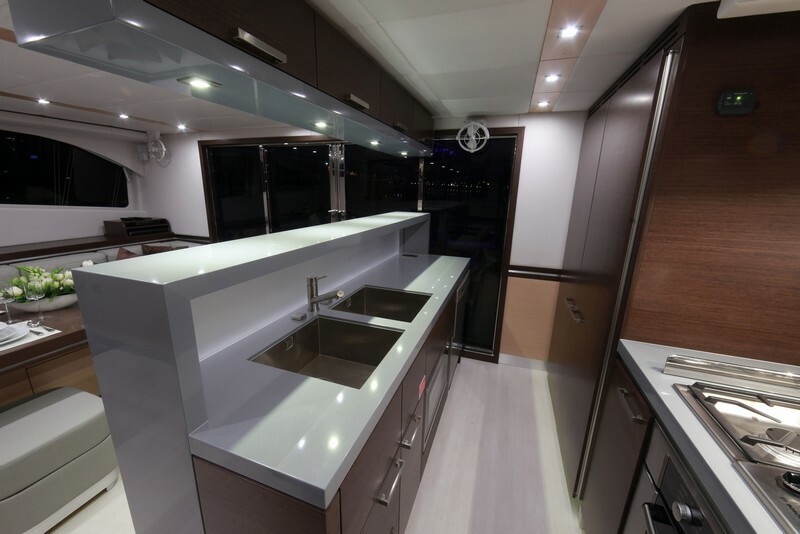 Two VIP cabins are mirror image amidships on port and starboard featuring queen size beds and custom Sunreef panoramic windows for optimum light views. 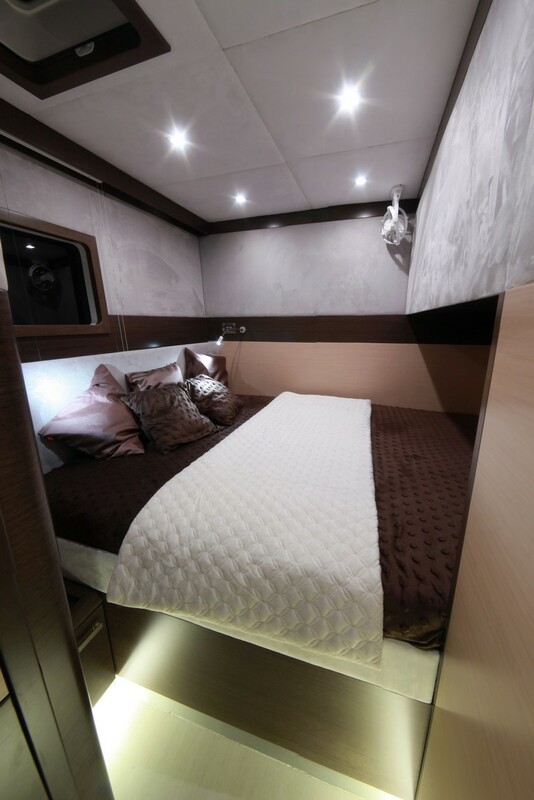 A further guest cabin offers a double bed and en-suite facilities. 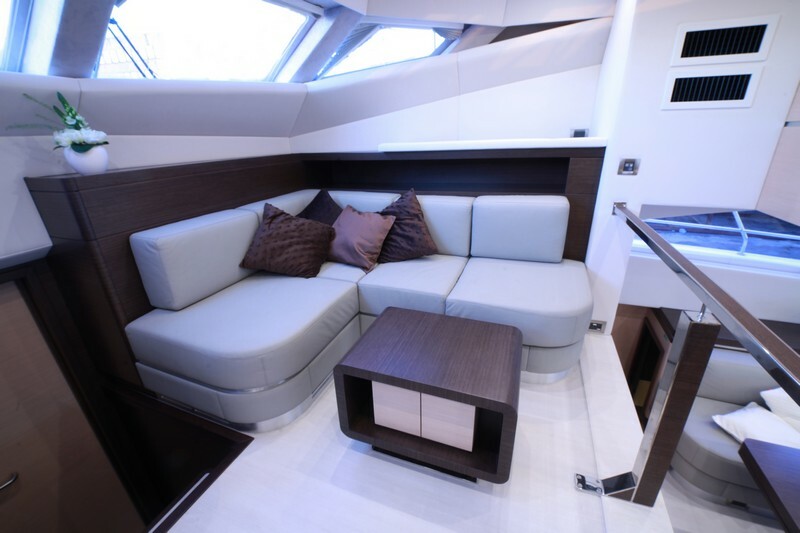 Each cabin carries the cool neutral tone found throughout the yacht FOREVER, creating a serene relaxing atmosphere.